This demanding motorcycle tour in North East India covers famous highlights of the region such as Kaziranga Park in Assam and Hornbill Festival in Nagaland. Hornbill Festival is a marquee cultural event where 16 tribes from Nagaland gather together. The spectacle showcases their traditional dance, food, art and much, much more. The tour continues in Arunachal Pradesh visiting places like Pasighat where off-road enthusiasts can literally ride off the beaten path! This ride will be a challenge to complete on roads that are only open during December and January. Lush green forest and rivers will test your limit until we will finish our ride in Dibrugarh, Assam! Anything not specifically mentioned under the head "Prices include"
Prices valid from 1st October 2016 to 31st March 2018. Prices valid for minimum 2 and maximum 4 pax traveling together in one vehicle. 50% non-refundable and non-transferrable advance payment to be deposited at the time of booking confirmation with balance due in cash on arrival. November to March Pangong Lake Journey will be done in one-day excursion. In April and October heaters will be provided in accommodation and vehicle free of charge. Our itineraries are conceived for adult travelers above the age of 15. Due to the remote geographical location of our tours, none is suitable for pregnant guests. 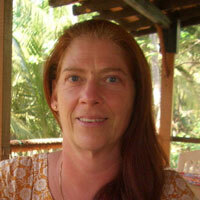 "I'm a woman entrepreneur from Austria and run a resort in Goa, India. I have rarely followed the crowd, have always lived curiously and am unafraid to travel alone. But when the time came for me to explore India, I wanted someone else to put together a fascinating itinerary and look after the logistics for me so that I could totally let my hair down and have fun. It was a huge stroke of good fortune that I found out about Sange Tsering - The Holiday Scout. Highly knowledgeable about the natural, historical and cultural treasures of Northeast India, well organized and committed to customer satisfaction in his approach, Sange is more than a qualified travel guide. Given his contagious enthusiasm for discovery, Sange encouraged me to try everything and what started out as a tour quickly became a glorious pursuit of new life experiences which we found and swallowed whole for eleven straight days! Northeast India is a truly mesmerizing region, and I will surely return to travel with The Holiday Scout - the guide makes all the difference." How to Book this Package? To secure a booking for your tour, we ask that you pay a 50% deposit in advance with the balance due in cash on arrival. For deposit within India, please use IFSC/NEFT - see bank details given on this page. For deposit outside India, please use SWIFT remittance - see bank details given on this page. Please note that should you decide to cancel your booking for whatever reason, your deposit will not be refunded or made transferable. The same holds true in case of no-show.